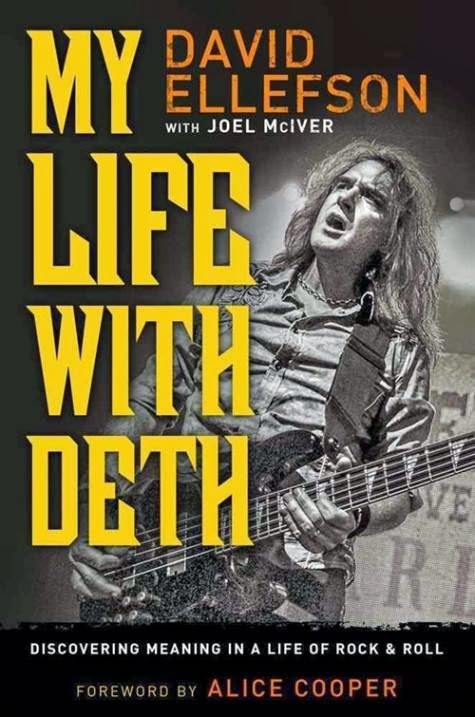 Megadeth bassist David Ellefson is sharing video of the unboxing of his new autobiography, “My Life With Deth”, which will be published on Tuesday. Ellefson will launch the project with a series of book signings - for a list of dates, click here. Megadeth just completed a month-long Latin American tour with Black Sabbath. The group will now play two concerts in the southwestern US this week before launching a full Super Collider US tour on November 23 in St. Paul, MN.